The above picture was one of the early pictures released by Bioware. 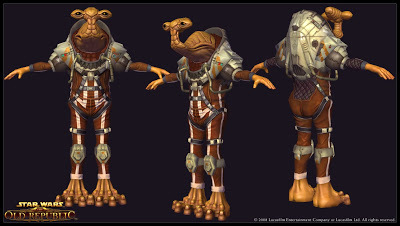 The picture is of Ithorian witch became a playable race in Star Wars Galaxies in the “jump to lightspeed” expansion. Ithorians were a mammalian herbivorous sentient species from the planet Ithor. They were commonly called “Hammerheads” by less sensitive beings because of their long, curving neck and T-shaped head. They found this nickname offensive. Ithorians had two mouths and four throats, allowing them to speak in stereo. Female Ithorians had two humps on the back of their head, while males had only one. They had glossy, usually brown flesh. They stood roughly between 1.8 to 2.3 meters (5ft 10in. to 7ft 6in.) from eyestalk to toe. Their reflexes and coordination were somewhat slower than that of average humanoids. In addition to allowing them to speak their unique stereophonic language, the Ithorians’ four throats also had the ability to violently expel air, resulting in a deafening and potentially concussive scream. Although even common Ithorians possessed this strange talent, those with Force training (such as Jedi Master Roron Corobb) could push enough power into their sonic bellow to shatter iron and shred plasteel. Despite this fact, most Ithorians went their entire lives without ever resorting to violence, and so the ability remained relatively ambiguous. Ithorians were natives of the planet Ithor, a lush world with sprawling rain forests. The Ithorians worshiped Mother Jungle, and long ago vowed never to desecrate their planet. Once they discovered repulsorlift technology, the Ithorians built expansive “herdships” floating in the skies above their homeworld. The species migrated to these platforms, ensuring that Ithor would remain pristine forever. These herdships eventually were given the ability to travel across interstellar distances. The Ithorian people were led by their high priest. First contact with the Republic occurred in 12,000 BBY. Abroad, Ithorians integrated well with the Galactic community. Their own language was incredibly beautiful, yet difficult to learn, as the Ithorians had twin mouths on opposite sides of their necks. Fortunately, they could speak Basic, albeit with a strange accent. Each Ithorian herd was presided over by a Force-sensitive individual who served as both a priest and healer. The Ithorians were crucial to the efforts to restore planets that had been devastated by the Mandalorian and Jedi Civil Wars, such as Telos IV. Ithorian society maintained its peaceful nature by exiling those who had a tendency towards violence and aggression. 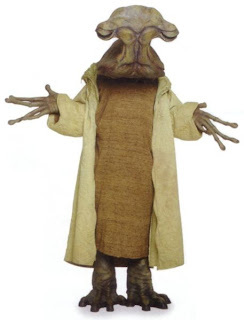 Two such exiles were the Moomo brothers, Dob and Del who worked for the Galactic Republic as hired muscle, although they were less than competent in their efforts. An exile named Momaw Nadon was present in the Mos Eisley cantina shortly before the Battle of Yavin. During the Yuuzhan Vong War , Ithor was destroyed by the Yuuzhan Vong as part of their invasion plan. They chose to destroy this planet, even though it was a lush jungle world, because one of the trees’ pollen could cause their Vonduun Crab Armor to expand rapidly, killing the Warrior. Many years after the Yuuzhan Vong invasion, Leia Organa Solo convinced Chief of State Cal Omas to allow the Ithorians to resettle on the planet Borao in the Inner Rim Territories over RePlanetHab, a large reconstruction conglomerate. Other Ithorians settled on Oetrago, Upell and Felucia. thorians worship the “Mother Jungle,” a spiritual entity embodying the lush, tropical ecology of their world, Ithor. They were generally devoted environmentalists, staunch herbivores, and complete pacifists, devoting much time to contemplating their ecology, studying plants and their uses and the overall respecting of all living things. Most Ithorians never set foot on their own planet, instead living in floating cities above their world called herdships. Only three of their continents had been explored and harvested, the other two never having been touched by Ithorian hands. This demonstrates their extreme belief in the protection and sustainment of their environment which is apparent through their ‘Law of Life’. The Ithorians practice a communal form of government. Each herdship is autonomous and self-supporting. However once every Ithorian season (about five standard years), the herds gather for “the Meet.” A grand gathering above the surface of their world, where the herd ships would join each other in a festival and regal ceremony. 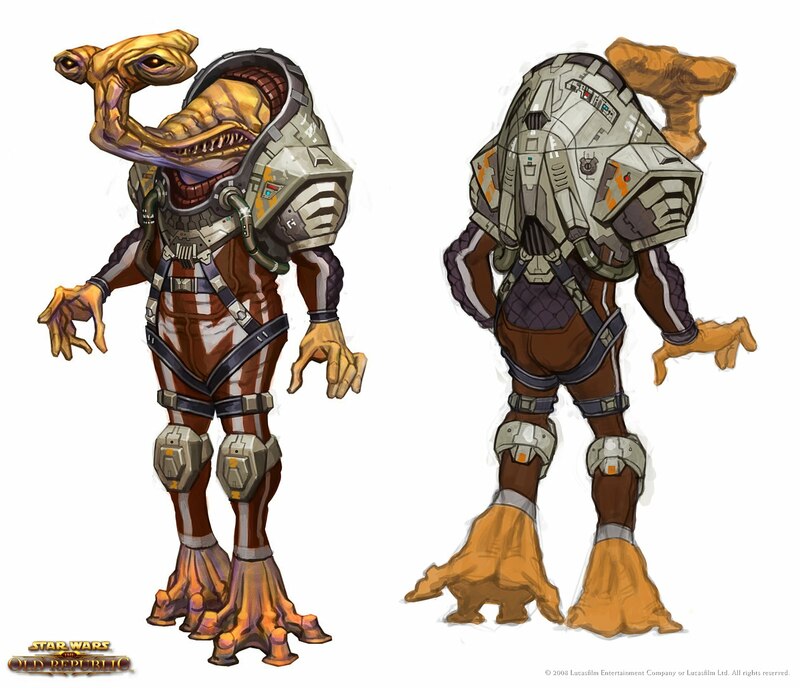 Ithorian’s curious and gregarious nature meant that many found their way offplanet via their floating herdship’s space-worthy counterparts. Many became galactic traders, traveling the stars either independently or as part of their herdship. They would only resort to violence if threatened, and they were more likely to use their sonic bellow than a weapon. Because of their mild demeanor most Ithorians avoided war in general, although the Rebel Alliance did boast a few among its ranks. Their pacifistic nature meant that they refused to touch things that came as a result of bloodshed. When dealing with others, Ithorians were always supremely polite. They were very conversational and had profound respect for the views of others. Though often described as likable and friendly, many sentients found them altogether dull. Even when they had disagreements, Ithorians were unlikely to discuss their grievances with anyone unless the offending party was present. To do otherwise was considered rude. Despite their reputation, not all Ithorians were so peaceful. Rarely, violent and unruly Ithorians were born and subsequently banished from their homeworld or herdship. Such Ithorians often became drifters and bounty hunters, like Del and Dob Moomo. Within Ithorian society, there were a priestly group known as Nature priests who communed with the “Mother Jungle” and had a deeper connection to the Ithorian homeworld. Within the trading guilds themselves, Merchantates were present who dealt with business matters. How Much Money Will Converting the Star Wars Films to 3D Make?